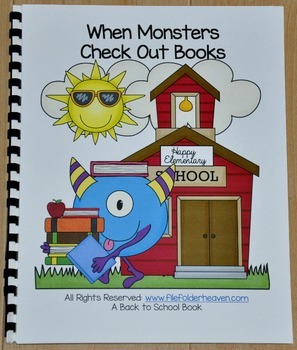 Back to School Free Behavior Book--"When Monsters Check Out Books"
"When Monsters Check Out Books," teaches students about appropriate library behavior. Yes it's true. This misbehaving little monsters are at it again. 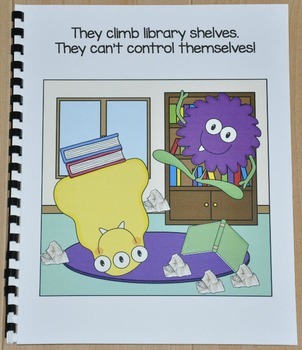 And boy, can they ever upset the school librarian!! 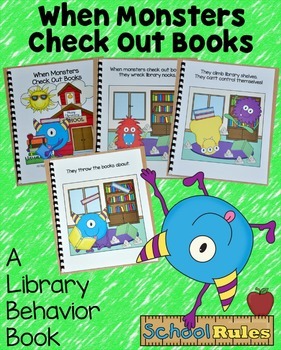 This fun and silly behavior story compares how monsters behave in the library to how students behave in the library. 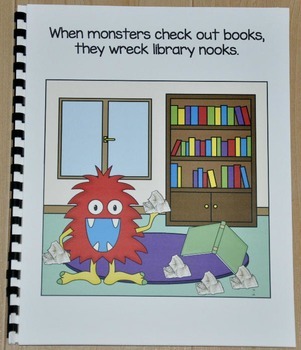 They eat the pages out...."
This new book in my "When Monsters Go To School" series also includes 4 "Don't Be a Monster..." posters that can be used to review appropriate library behavior after you have read the story or you can post them around the room or school library to serve as great visual reminders.